Rheumatoid Arthritis and Osteoarthritis have similar symptoms. However, their causes, paths of progression and treatment options are different. Rheumatoid Arthritis is an autoimmune disease characterised by an overactive immune system, while Osteoarthritis is a degenerative joint disease. In Rheumatoid Arthritis, the synovial linings of joints get inflamed, which leads to cartilage damage. The cartilage acts as a shock absorber and, when it’s all damaged, the bones will join together, causing extreme pain during movement. The joint damage in Rheumatoid Arthritis is usually symmetrical, whereas, in osteoarthritis, the damage is normally not symmetrical. Osteoarthritis is the most common form of Arthritis, where the cartilage breaks down, causing the ends of the bones (within a joint) to rub against each other, which leads to stiffness, pain, and discomfort in mobility. People aged between 40 and 60 years are at a higher risk of developing Rheumatoid Arthritis. Women suffer more from Rheumatoid Arthritis than men. Smokers are at the higher risk of Rheumatoid Arthritis. Also, smoking can worsen the symptoms in people suffering from this autoimmune disease. Even light smoking increases the risk of developing Rheumatoid Arthritis. People who have close relatives suffering from Rheumatoid Arthritis stand a higher risk of developing the disease. Osteoarthritis is common in older adults. Obese people are at a higher risk of developing Osteoarthritis in the spine, hips, and knees. Poor posture, over time, can increase the risk of Osteoarthritis. Occupations, where a tremendous pressure is put on joints, can increase the risk of the degenerative joint disease. People with past joint injuries are at an increased risk of developing Osteoarthritis. 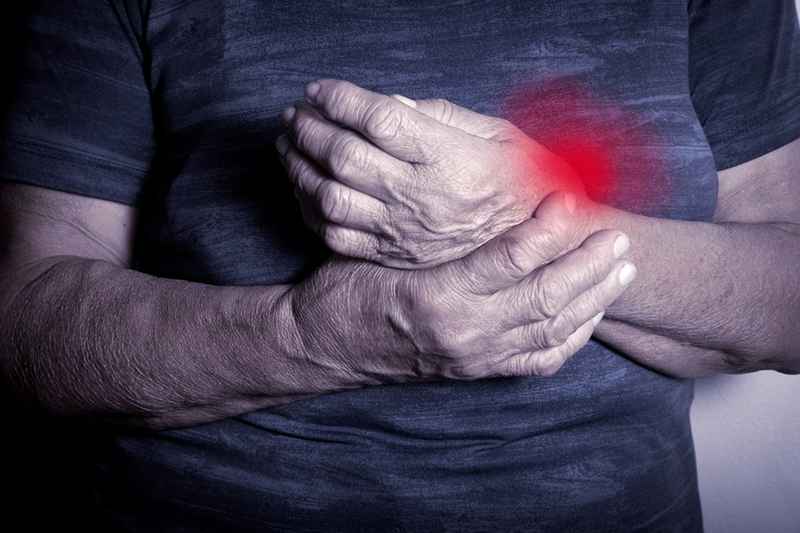 Rheumatoid Arthritis, if not managed, can increase the risk of other serious health complications, including Carpal Tunnel Syndrome, Cervical Myelopathy, Cardiovascular Disease and joint damage.